Boyd Holbrook is a popular American actor whose show-business career is developing rapidly. The young man began with fashion shows and commercial photo sessions; he managed to enter the world of cinematography and prove his talent. However, success not easy for Boyd: the actor spent years mastering his skills. The future screen star was born on September 1, 1981, in Prestonsburg, Kentucky. As the actor said in his interviews, the parents believed it was significant to teach their son to be independent. Boyd began to work part-time when he was a teenager. He worked at the local theater and assisted carpenters who monitored the condition of the stage and decoration. The stage could have remained only a dream, but the young man was lucky: a modeling agent who had some business at the theater noticed the young worker. Holbrook was invited to New York to try himself on a runway. The offer seemed to be a miracle, and the young man accepted it quickly. Soon, Boyd Holbrook signed the long-awaited agreement with the agency Elite Models and began his career. The pictures of the young man appeared in famous brand catalogs and fashion magazines. Many companies liked Holbrook’s type: he collaborated with Bill Blass, Dior, Calvin Klein, and other iconic labels. Boyd also participated in fashion weeks in different countries where he showed famous designers’ clothes. Holbrook’s appearance, height, and weight perfectly matched glossy magazine standards for men. There is little surprise the actor appeared in Vogue soon: in the first photo session for the popular magazine, he collaborated with a Brazilian model Caroline Ribeiro. Ellen von Unwerth’s project was also memorable: Boyd was shooting with the model Omahyra Mota. Later on, Holbrook cooperated with Hugo Boss, Burberry, and Gucci. When he became a popular actor, he did not give up modeling and continued to take part in fashion shows and photo projects of various brands. 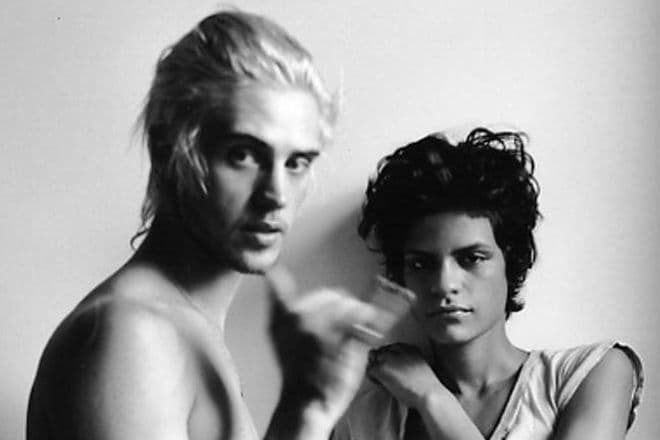 Boyd Holbrook was not satisfied with modeling success only. As soon as the young man earned enough money, he spent it on education and entered the New York University where he studied cinematography. This investment proved to be right soon: the handsome actor started receiving movie offers. However, they were episodic. Sometimes, his name did not appear in titles. Still, the beginning actor was not discouraged: he kept accumulating the necessary experience and learned the details of movie-making. As the young man graduated, he continued to study and entered the Columbia University to study the history of cinematography and scriptwriting. Later, Holbrook created several successful movie scenarios. As Boyd was getting the theoretical knowledge, he was improving his acting skills. He joined various theater studios and worked on his voice and speech. The man’s endeavor was finally rewarded: in 2008, Boyd Holbrook got the first role in Gus Van Sant’s Milk. The young actor had the opportunity to collaborate with Sean Penn, Emile Hirsch, and James Franco. 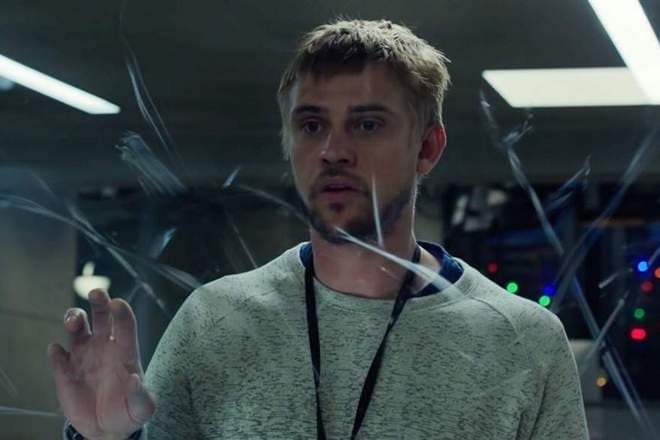 Gradually, Boyd Holbrook was getting more and more movie and series offers. Soon, the young man could select the most interesting scenarios. In 2010, the audience saw Boyd in episodes of The Big C; in he appeared in the movies Higher Ground and The Reunion. The next year, the actor participated in the drama series Hatfields & McCoys together with Kevin Costner, Bill Paxton, and Jena Malone. 2013 was marked by the crime thriller Out of the Furnace by Scott Cooper. In 2014, the youth movie Very Good Girls came out; it drew attention to complicated friendship, love, and life values issues. The actor received one of the lead roles; charming Dakota Fanning and Elizabeth Olsen collaborated with Boyd. At the same time, Holbrook worked on David Fincher’s Gone Girl with Ben Affleck and Rosamund Pike. Fans and critics mark the actor’s further projects: the series Narcos (Holbrook played one of the key characters), the fantastic movie Morgan, and the action movie Logan based on the popular Marvel comics. Boyd Holbrook’s personal life is discussed as much as his new roles. In 2012, the actor met Elizabeth Olsen, his partner in the movie Very Good Girls. The mutual interest grew into a passionate romance; two years later, Boyd and Elizabeth revealed their engagement. Unfortunately, the actors never married: in 2015, the couple broke up and did not make any comments. For some period, the man was single. One day, the media started spreading rumors about Boyd’s new girlfriend. It was a Danish actress Tatiana Pajkovic. In 2018, the couple’s son was born. 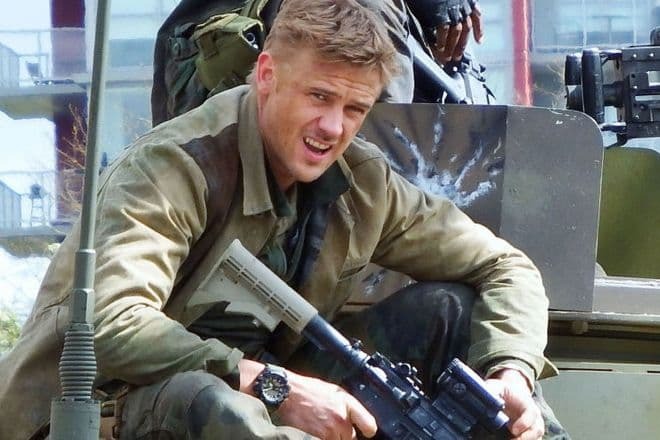 2018 brought new career achievements: the movie The Predator was announced, and Boyd Holbrook got the lead role of Quinn McKenna, a former Army Ranger. It is the sequel of the movies Predator and Predator 2. Olivia Munn, Thomas Jane, and Jake Busey became the actor’s stage partners. Fans were looking forward to the premiere; in September 2018, the fantastic thriller appeared on the big screen. 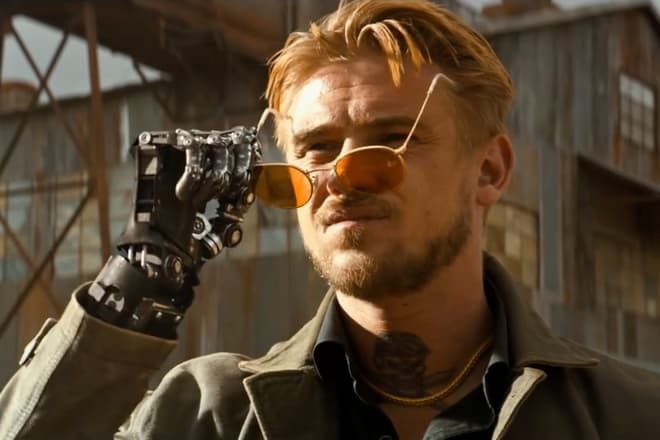 Boyd Holbrook does not talk much about his further plans; however, he shares some details of his work and personal life on his Instagram page.